Join us on Thursday, May 2nd as we celebrate 35 years of helping struggling families and inviduals thrive in our community. 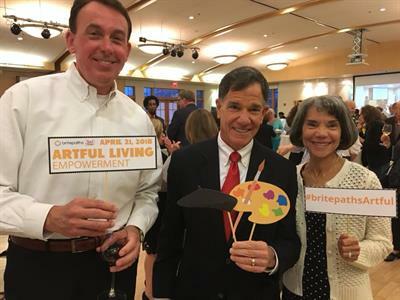 Artful Living will be held from 7pm - 10pm at the Country Club of Fairfax. Proceeds from the evening will benefit Britepaths' programs. 7:00 p.m. - 10 :00 p.m.